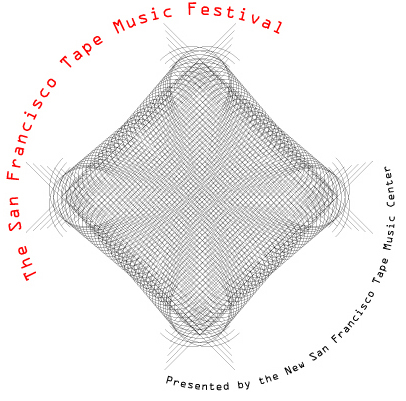 The New San Francisco Tape Music Center, California's foremost exponent of live diffusion of tape music, presents 7th festival of classic and contemporary fixed media compositions. Projecting over an array of 16+ speakers that will bathe you in hi fidelity sound, the festival includes a wide range of "fixed media" works from 50 year old classics to 5 day old creations on the cutting edge. Over 22 works by local and international composers will be presented during the three nights, including a few classic masterpieces. Steve Reich's classic work of early minimalism, It's Gonna Rain is based on tape loops of a recording of a Pentecostal preacher in Union Square. The first performance in January 1965 was in fact at the ORIGINAL San Francisco Tape Music Center! Keeping with its goal of presenting classic works to modern audiences, the "New" San Francisco Tape Music Center will be realizing an original multichannel projection of this historical composition exclusively for this festival. Another vocal-based work, Luciano Berio's Thema (Omaggio a Joyce) is known to be one of the classic pieces of early tape music from the 1950's. Composed in 1958, the piece consists entirely of tape manipulations of Cathy Berberian reading the opening text from the "Sirens" chapter of James Joyce's "Ulysses". The festival presents this monumental masterpiece as part of the year long celebration of the 100th anniversary of "Bloomsday" as well as a remembrance of Berio, who passed away last year. It is also a prelude to the "Omaggio a Berio" concert to be presented by the sfSoundSeries on June 5. Tape music is not as marginal as one might think. In fact Berio's "Thema" was a notable influence on The Beatles after Paul McCartney attended a 1966 lecture about the piece. Even some "legit" tape music pieces have appeared on pop albums, perhaps the most famous being the Beatles' Revolution 9. Whether you have either always skipped it over, or played it many times over and over, now is your chance to hear this famous anomaly from the "White Album" in surround sound! But this festival includes much more than classic works! Of the modern masters, the festival includes a 30 minute composition by Luc Ferrari, a pioneer of musique concrete and one of the most important and intriguing figures in electronic music of the last forty years. In addition, the festival presents works by composer, radio artist and sound ecologist Hildegard Westerkamp, and acousmatic composer Christian Calon. Featured Bay Area composers include Tim Perkis, Fernando Lopez-Lezcano, Robi Kauker, The Noodles [Michael Zelner/Suki O'Kane], Thom Blum, and Cliff Caruthers. The Festival also includes composers from around the world, including works created in Brazil, Canada, England, Italy, Greece, France, Scotland, and Turkey!